This Terms and Conditions document governs the use of The Model Room web store service. This Agreement can be accessed at any time from the footer of any page of the website. By using the site, you are accepting the following terms and conditions. Orders will be accepted by The Model Room, for delivery in New Zealand only. Payment is to be made in NZ currency. Any contract arising from this site is governed by the laws of New Zealand. All prices in the shopping areas are in New Zealand dollars (NZ$) and are GST inclusive. The freight charges are added later at the checkout area and payment section of the online shop. Prices may increase or decrease from time to time. Prices shown at the time of purchase are the prices you will pay. You must pay by Mastercard or Visa or Direct Credit to our bank account. We will not accept cheques or cash on delivery. Products displayed on The Model Room shopping site can be purchased using a secure gateway with DPS Payment Express. DPS is our e-commerce payment solution; DPS is one of New Zealand’s largest e-commerce gateway providers, providing you secure transaction processing for Visa and Mastercard. Your transaction and credit card details are not entered or recorded on our web site, you will be seamlessly transferred to the DPS encrypted secure service to enter your Credit Card details for processing. Once we receive confirmation that your transaction has been approved, we will then process your order and ship your goods. We also offer the option of payment via Direct Credit to our New Zealand bank account, The Model Room is not liable for any bank fees that you may be charged by your bank. We are unable to accept Direct Credit payments for international orders. The Model Room is associated with DPS, New Zealandʼs largest and most preferred payment gateway provider. The Model Room do not collect or store any credit card information. This information is all processed by DPS. When making a purchase you will be directed to a secure webpage hosted by DPS to enter your payment details. You may be asked to register as a member of The Model Room. Apart from the many member benefits, including receiving regular emails containing special deals, your shopping address details will be filed, saving you the effort of entering these details each time you checkout. As a registered customer we will send you emails and updates from time to time to inform you of new ranges, special offers and discounts. Please note, you are able to unsubscribe from our email updates at any time. The Model Room delivery service is prompt and efficient and we have identified a range of best value courier, freight and postal services from which we choose. We ship all our online orders by courier and endeavour to deliver within (1-3 working days Monday to Friday) We can only deliver to a physical address, not a PO Box, Hotel, Motel or Care Of (c/-) address. Delivery charges will be added to each order and shown as a separate item before you chose to enter your payment details and send the order to be processed. A faster delivery service may be available by request (subject to availability) but at an extra cost. Please contact us by phone or email us at shop@themodelroom.co.nz if this is an option you are interested in. Please choose carefully as we do not refund if you change your mind. If you discover any defect in your product, we will meet our obligations under the Consumer Guarantees Act (1993). When replacements are not available we may, at our discretion, provide a complete refund. We'll notify you via e-mail of the status of the replacement or refund once we've received and processed the returned item. Refunds will be processed in the same form of payment originally used for purchase after we have received your return. Freight will be refunded where the product is faulty or arrived damaged. For online purchases, we accept returns and exchanges of fully packaged, unused and undamaged merchandise within 10 days from the date your purchase was delivered. If you'd like to exchange or return an item you've purchased online, please contact us at shop@themodelroom.co.nz, alternatively you are welcome to bring your purchase into the store for store credit or exchange. Additional shipping costs to send out an exchange may apply. Shipping costs to return a purchase are not the responsibility of The Model Room, please ensure the item(s) are suitably packaged. If returning goods via courier we recommend ensuring the item is able to be tracked and is insured as we will not be liable for misplaced or damaged returns. For any claim to be made the item must be sent directly to our store. The Model Room is not liable for any direct, indirect, special, incidental or consequential damages or loss of profit arising out of the use, or the inability to use, the products on this site. This includes but is not limited to the loss of data or loss of profit, even if The Model Room was advised of the possibility of such damages. The Model Room is the trade name of Zaro Trading Ltd. The copyright and other intellectual property rights in the material contained in the Service are protected by Zaro Trading Ltd. This Web Store Service provides general information about The Model Room and the products and services they offer. The information contained in the Service has been prepared solely for the purpose of providing information about The Model Room, the services and products they offer. The Model Room reserves the right to change, delete or move any of the material on the Web Store Service at any time without notice. The material featured on this site is the copyright of The Model Room unless otherwise indicated. It may be reproduced free of charge in any format or medium, provided it is used for non-commercial, informational purposes only. This is subject to the material being reproduced accurately and not used in a misleading context. Where any of the copyright items on this site are being republished or copied to others, the source of the material must be identified and the copyright status acknowledged. The permission to reproduce copyright protected material does not extend to any material on this site that is identified as being the copyright of a third party. Authorisation to reproduce such material must be obtained from the copyright holders concerned. For any other proposed use of the material on this site, please contact the website owner. Explain how and why you wish to use the materials. Please include your name, organisation, telephone number and email address. The names, images, and logos identifying The Model Room and any of its subsidiaries and third parties and their information, products, and services, are proprietary marks of The Model Room or third parties. 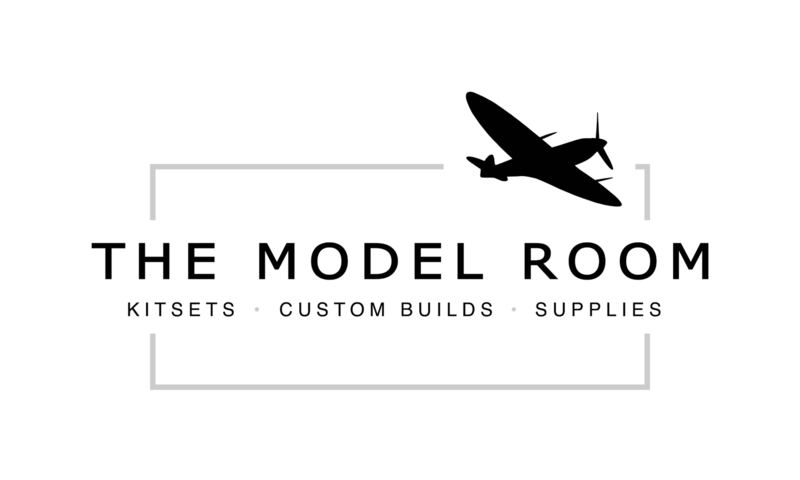 If you have received approval to link to the The Model Room website you may use the logo in conjunction with the link only if you have received prior permission to do so. No other use of our logos, or any third party logos, accessed via this website, is permitted without prior approval from the relevant copyright owner. Requests for permission to use our logos should be directed to the website owner. Explain how and why you wish to use our logo. Please include your name, organisation, telephone number, and email address. The Model Room makes no representations or warranties, either expressed or implied, as to the accuracy of the information on this website, or its fitness for any purpose whatsoever. In no event will The Model Room be liable for any direct, indirect, special incidental, or consequential damages arising out of the use of the information held on this website. The Model Room owns and operates this website: www.themodelroom.co.nz, and is located in New Zealand. If you have any queries regarding shopping with The Model Room, please email shop@themodelroom.co.nz.